New color edition from Seton Press. A wonderful abundance of beautifully illustrated stories about Jesus. 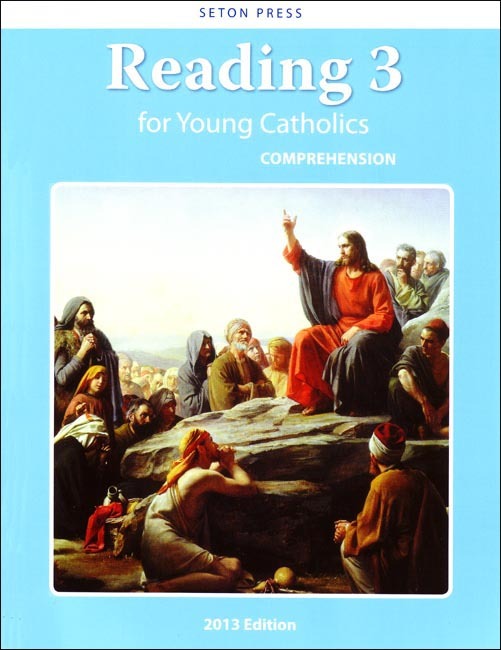 Children develop reading skills as they increase their understanding about His infinite love and mercy. Multiple choice questions follow each of the fifty stories. Full color. Answer Key included in back of the book. 2013 Copyright. 8.5 x 11 inches. Soft cover. 128 pp.